While it’s primarily intended for stop-and-go service, The Midway Bar also has seating for up to six people, as well as four table-top slot games. 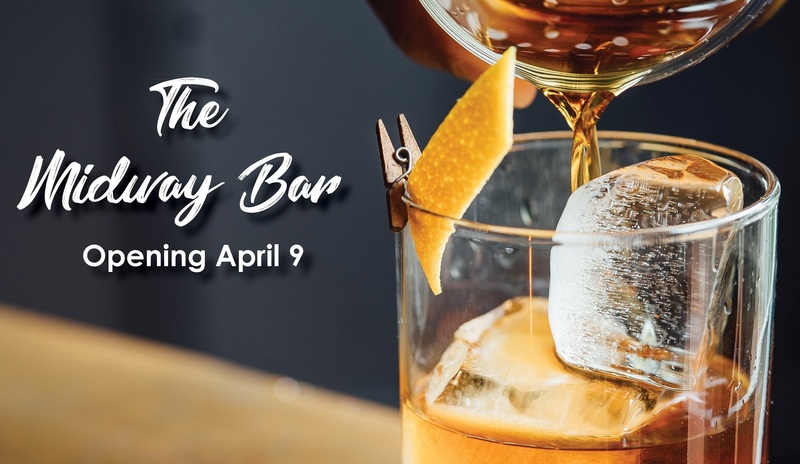 In addition to the wide selection of alcoholic and non-alcoholic beverages that guests are accustomed to, The Midway Bar will also feature four new draft beers (Black Bridge Brewery’s IPA!, District Brewing Co.’s German Pilsner Lager, Rebellion Brewing Co.’s Lentil Cream Ale and Coors Banquet) and an updated collection of local and premium spirits. The Bar is open Tuesday through Saturday from 6pm to 2:30am.